How is corporate governance of financial institutions different from that of listed companies? The financial crises ushered in an era of new financial legislation, supervisory practices, principles and recommendations. Understanding these developments is key to weighing up the pros and cons of current proposals for international reform of banking regulation. Professor Klaus J. Hopt starts off the discussion with a keynote on the unique characteristics of financial institutions, and later will be joined by an expert panel to debate how best to govern them in the future. The lecture series Advances in corporate governance: comparative perspectives is organized as part of the 2017 Michael Endres Prize, which was awarded to Theodor Baums, Professor for Civil, Trade and Business Law at the Goethe University in Frankfurt am Main, for his outstanding contributions to corporate governance research. 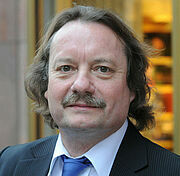 Helmut K. Anheier is President of the Hertie School of Governance and Professor of Sociology. His research centres on indicator systems, social innovation, culture, philanthropy, and organisational studies. Anheier is the principal academic lead of the Hertie School's annual Governance Report (Oxford University Press). He also holds a Chair of Sociology at Heidelberg University and serves as Academic Director of the Centre for Social Investment. 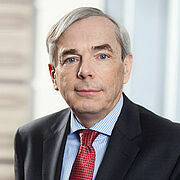 Klaus J. Hopt is Professor Emeritus and former director at the Max Planck Institute of Foreign Private and Private International Law, Hamburg/Germany. He has held professorships of law in Tübingen, Florence, and in Munich. 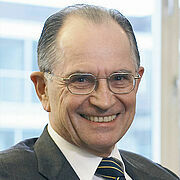 He is also a former judge at the State Court of Appeals of Stuttgart/senate for commercial law and trade regulation. He has served as an expert for the German Bundestag, the German Federal Constitutional Court, various German Ministries, the German Central Bank, the European Commission, in Bulgaria and at the World Bank, and held various visiting professorships around the world. He is author, editor and co-editor of a number of publications in the field of corporate and commercial law, particularly on corporate governance and takeover law. Dr. Thomas Mirow is former Senior Fellow of the Hertie School. He currently holds positions as chairman of the supervisory board of HSH Nordbank AG (Hamburg), member of the Global Advisory Board of Rothschild & Cie (London/Paris), Independent Director at JSC Baiterek (Astana) and member of the Shareholder Committee of F. Laeisz (Hamburg). He previously served as President of the European Bank for Reconstruction and Development (EBRD) in London. From 2005 to 2008 he was a German Deputy Finance Minister in charge of financial markets as well as of european and international affairs, after having led the economics department at the Federal Chancellery. From 1991 to 2001, Dr. Mirow a senator in Hamburg. 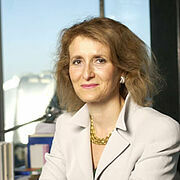 Chiara Zilioli is Director General of Legal Services (General Counsel) of the European Central Bank. She has dedicated her entire career to the European integration project, with particular focus on the European monetary union. From the Legal Service of the EU Council, where she started in 1989, she moved to the European Monetary Institute in 1995, and then to the ECB in 1998, where she was initially appointed as Head of Division and subsequently serves in her current position. She has been appointed Professor at the Law Faculty of the J-W Goethe Universität, Frankfurt am Main. She has published three books and several articles, mainly on the position of the ECB within the EU institutional framework and the functions of the ECB. 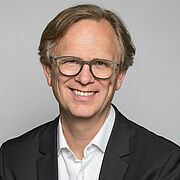 Mark Hallerberg is Dean, Professor of Public Management and Political Economy at the Hertie School of Governance and is Director of the Master of Public Policy and Master of International Affairs programmes. His research focuses on fiscal governance, tax competition, financial crises, and European Union politics.